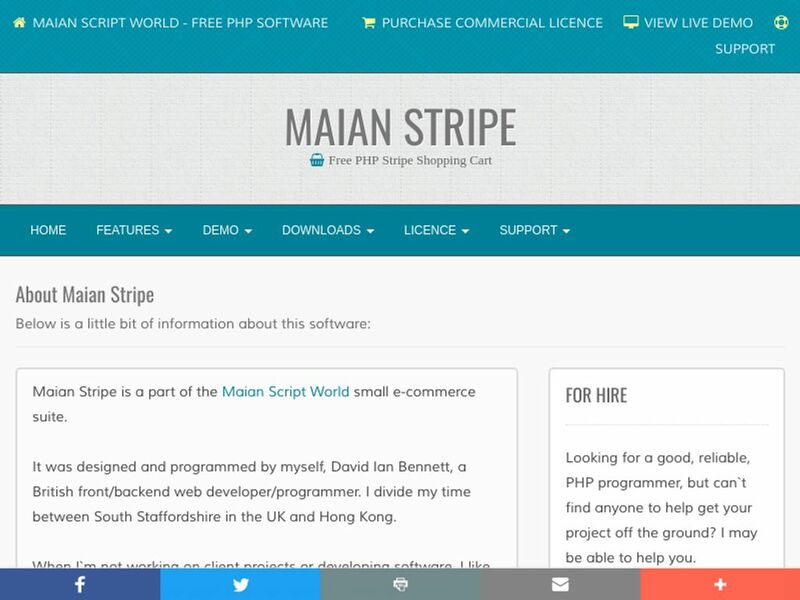 Free stripe PHP shopping cart script. 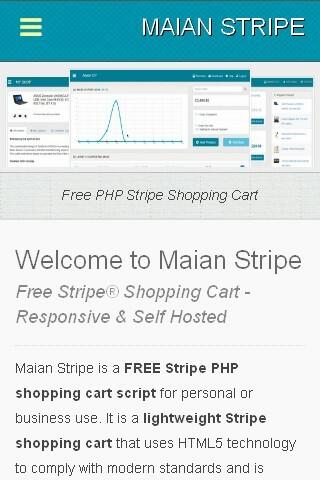 Lightweight stripe shopping cart. Self hosted, fast, responsive, easy to use, reliable. Ecommerce simplified. 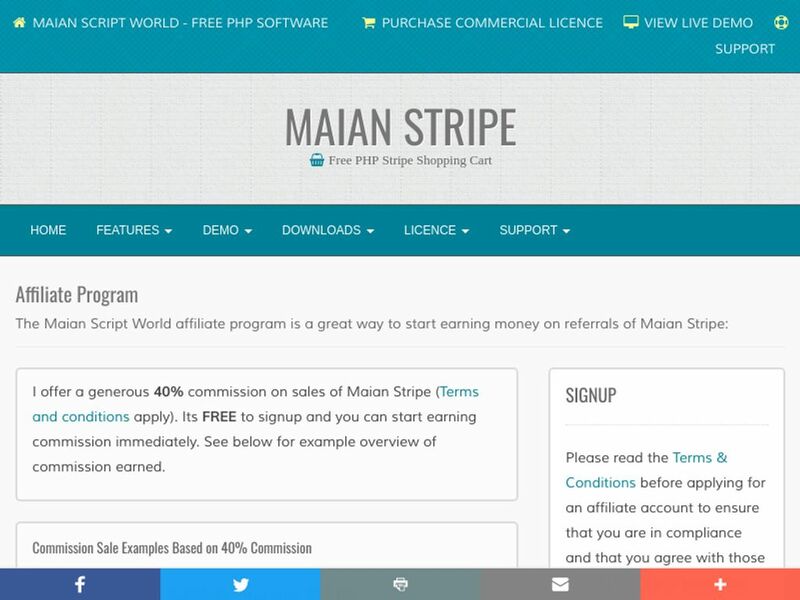 Maian Stripe starts from ₤44.95 per month ($58.82 per month). 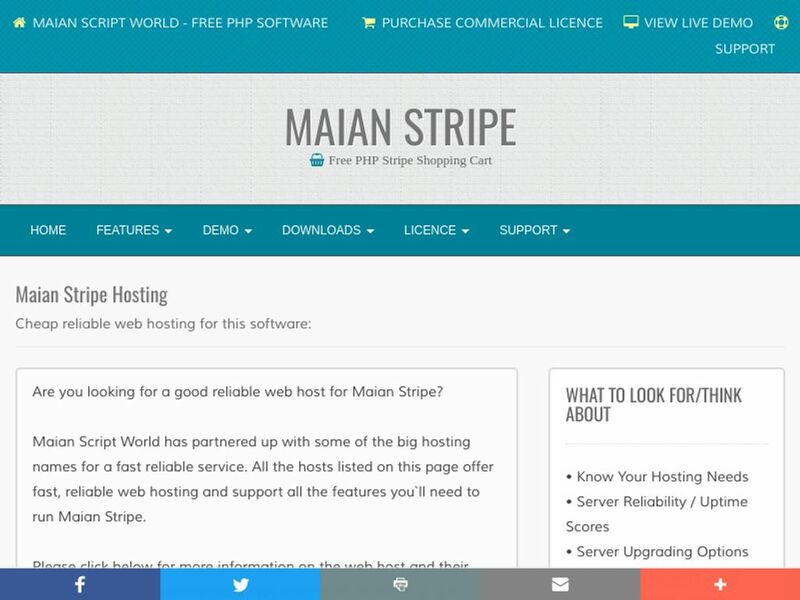 No Maian Stripe reviews were found. Please submit your first review. 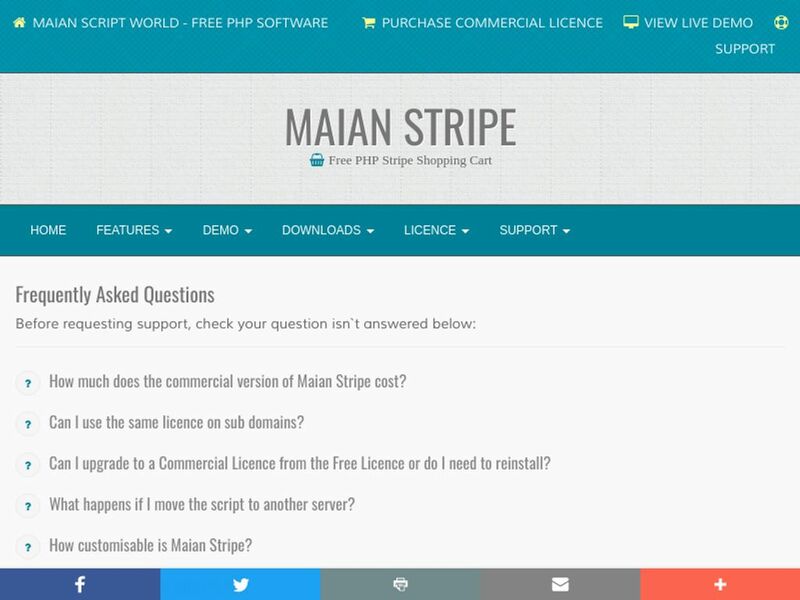 No Maian Stripe questions were found. Please submit your first question. 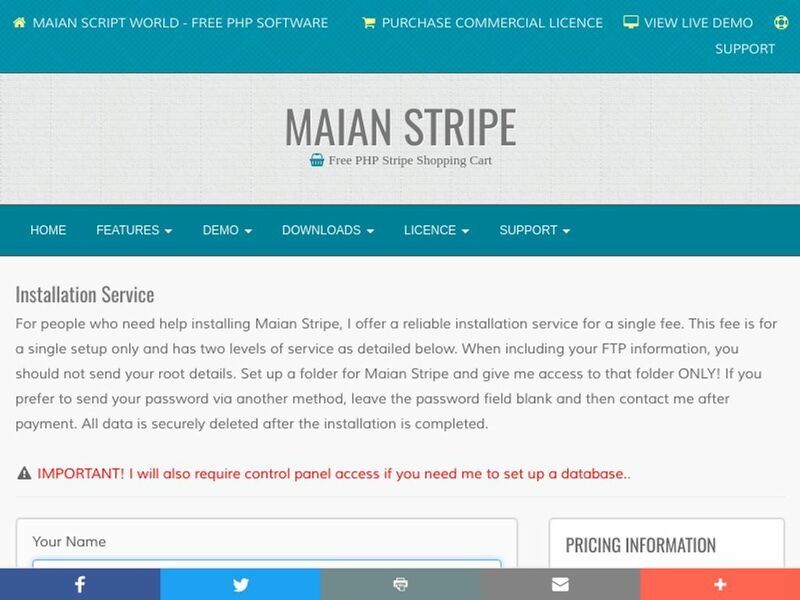 Maian Stripe uses Maian Script network to manage charges. 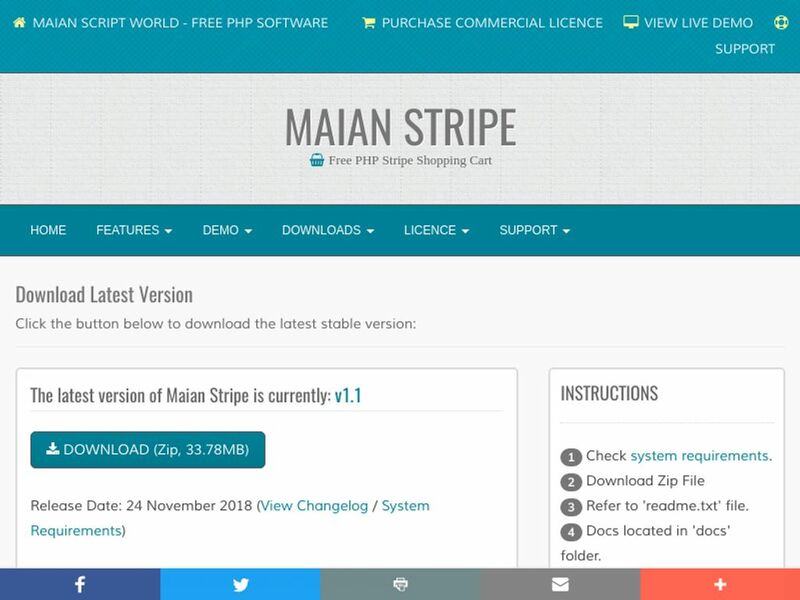 Do you want help with Maian Stripe? 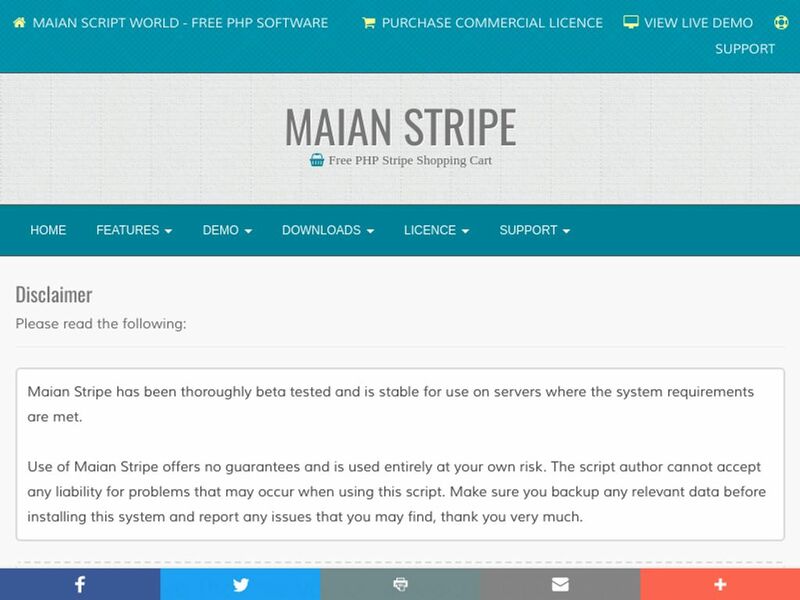 Any trouble with Maian Stripe review? 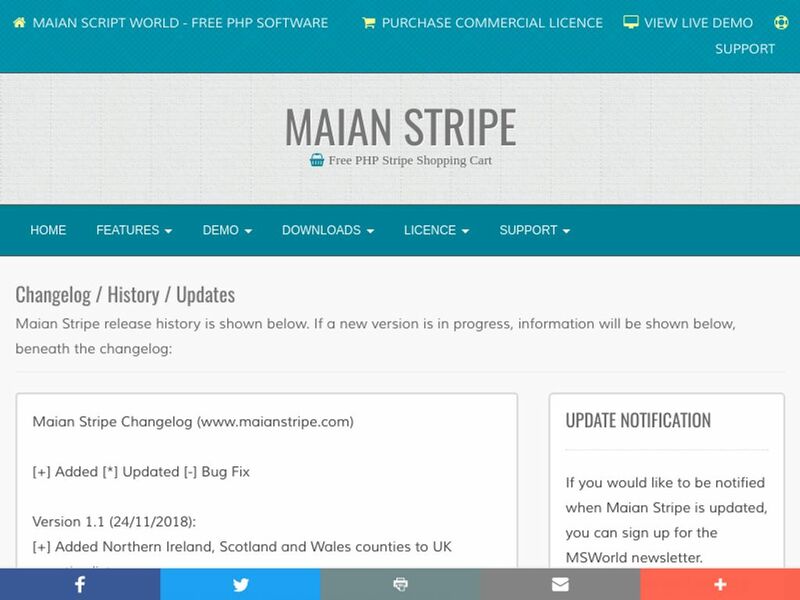 More Content Management Systems Looking for alternative to Maian Stripe ?